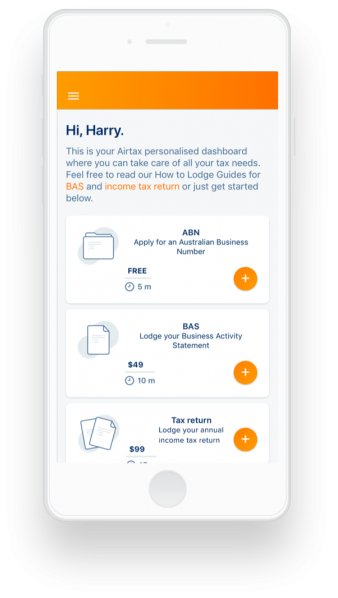 Connect your data when you sign up to make your BAS lodgement even faster. Sign up to create your free Airtax account. You'll be prompted to enter some tax information to get started. Once you've signed up, you can start your first BAS. We guide you through the process and show you your GST in our live calculator as you go. Submit your BAS with Airtax and we'll lodge with the ATO for you. We'll be in touch when everything is confirmed.